Batten Insurance Services announces the initiation of a master charity program in the West Palm Beach, FL area inviting support from the agency’s network of professional partners and clients in benefitting the local community. The inaugural campaign will raise funds to help one of their own team members who is battling breast cancer. We are truly honored to begin by fundraising for Stacey, whose mounting medical bills are proving a challenge for this loving wife and mother. We are hoping all the compassionate members of our community will rally behind this wonderful neighbor in need. Batten Insurance Services in West Palm Beach, FL has announced the commencement of a master charity program created to assist the people of their local community. The agency pledges to select a new beneficiary every 60 days, working closely with nonprofit organizations and community leaders. Their hope is to bring awareness to important local causes with fundraising and other support, by forming campaigns which aid worthwhile local programs, families or individuals. To debut their new community enrichment program, Ann-Marie Batten, the agency’s owner, has chosen to introduce one of the agency’s own team members, Stacey Bennis. Stacey has been fighting breast cancer since September 2015, when she was diagnosed with stage invasive 2B breast cancer. She had surgery the next month, during which cancer was also discovered in her lymph nodes. Stacey has a long road ahead of her, with ongoing chemotherapy and radiation, followed by a five-year course of oral medication. Although in a lot of pain, Stacey is embracing and living her life with courage, still working to help and protect others through her work at the insurance agency. The donations page for each featured campaign will be accompanied by a fully detailed story outlining the cause. The team at Batten Insurance Services will also spread the word through it’s own vast network of customers, business associates, neighbors and friends. 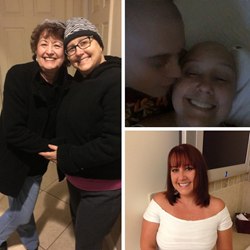 To join the agency in support of Stacey and her fight with breast cancer, donors may visit https://www.crowdrise.com/helpingourstaceybennisbeatbreastcancer/fundraiser/annmariebatten and are asked to share the page with their own personal and professional networks. Batten Insurance also produces a monthly publication, Our Hometown magazine, which will reserve a full page highlighting each selected Community Cause. The electronic Flipbook version of the current issue may be accessed here: http://www.battenins.com/Our-Hometown-Magazine_39. To learn more about the agency’s exciting new Community Program and various services, please visit: http://www.battenins.com/. A full-service insurance provider serving the families of coastal Florida from offices in West Palm Beach, agency owner Ann-Marie Batten knows many local families. Her knowledge and understanding of the people in her community help Ann-Marie to provide customers with an outstanding level of service, and she and her team of dedicated professionals look forward to helping families protect the things which are most important to them – their families, homes, cars and more. They also can help clients prepare strategies to achieve long-term financial goals. To contact a caring expert at Batten Insurance Services, please call 561-627-1806.